I made a bulletin board for my office that highlights some of the "puzzling" things that middle school students deal with on a daily basis. 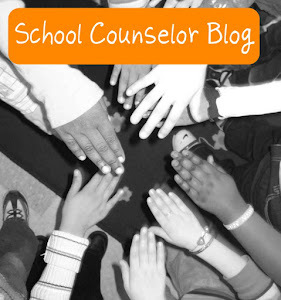 There are many different things middle school students face that can make life confusing. Some of these puzzling things include: homework, friends, family, high school options, a parent being sick, a death of a loved one, or someone you love being in prison, and much more. This "Feeling PUZZLED? "bulletin board will serve as a conversation starter for students. 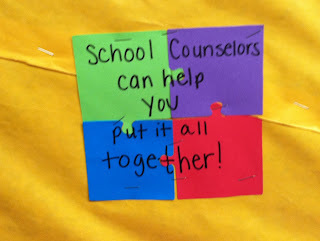 I liked the idea of using the play on words from the "puzzle" theme to help students understand school counselors can play a role in helping them cope with the puzzling aspects of their lives. 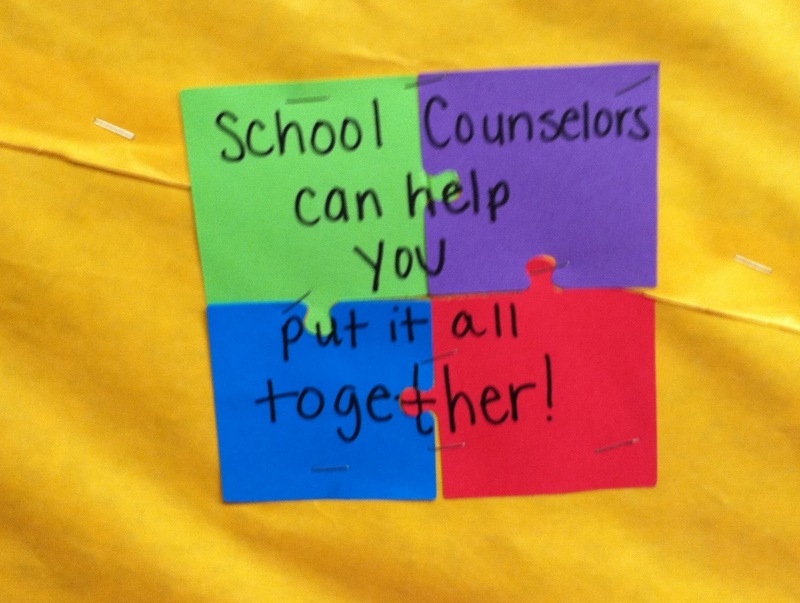 In the corner of the board I put some puzzle pieces together and wrote, "School counselors can help you put it all together!" I plan to use the blank puzzle pieces for student suggestions of "puzzling" things to add to the board. To make the "Feeling PUZZLED?" Bulletin Board I used yellow roll paper, to cover the board. I cut out puzzle pieces on different colors of cardstock using my Cricut Expression paper cutting machine. The cricut cartridge I used for the puzzle pieces is Locker Talk. I cut the words "Feeling PUZZLED?" out on black cardstock using my Cricut Expression paper cutting machine cartridge font Jubilee. I wrote on the puzzle pieces using a black Sharpie permanent marker. I stapled the puzzle pieces and words to the yellow background. I used a green and white polka dot boarder I purchased at the Dollar Tree to line the bulletin board. 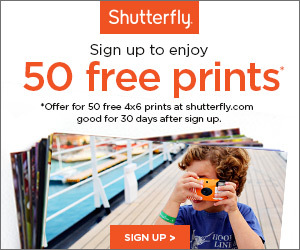 Here's a link to a similar green and white polka dot border. 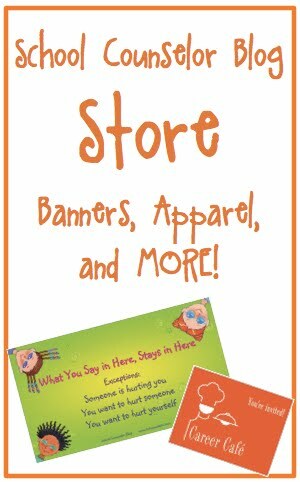 Have you made any bulletin boards lately? 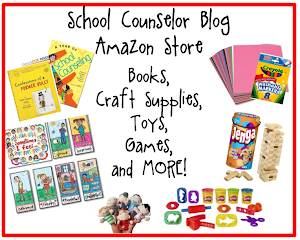 What ideas do you have for school counseling bulletin boards? 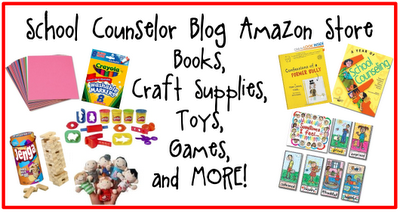 Comment below, tweet, contact Danielle, or share on the School Counselor Blog Facebook Page!